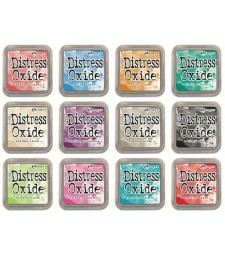 We're in love with Distress Oxide Inks. 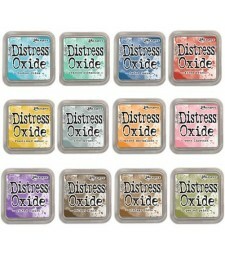 They're a water-reactive dye and pigment ink fusion that creates an oxidized effect when sprayed with water. 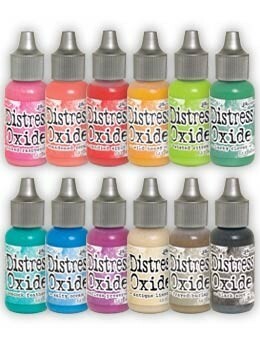 Use with stamps, stencils or direct to surface. .5 oz per bottle. 3 x 3 inch ink pads available too.